The number of total hosts on Cams247 is approximately 12,000.The average number of online hosts at one time is about 150 however this number will go up and down depending on what time of the day you go on the site. Rent (watch) pre recorded videos of host private sessions for $9.99 each. VIPCams only lets users pay with a Credit/Debit cards and they give you quit a few to choose from so there should be something that almost everyone can use. There are two basic memberships on Cams247.com, regular free member and VIP member. The VIP membership gives you access to much more features on the site that you cannot get with a regular membership. As a member you have access to many of the features on the site however there are some areas which are only accessible with a VIP membership and not a regular one. With a VIP membership you get all of the same benefits as a regular member plus it gives you lots of added benefits and is available to everyone who wants to join. Cost to Join: $29.95 per month. Information Required: Valid Credit Card. The site does not really have any standout special features. However the features that it does provide are helpful and enhance your live chat experience. Top Performers – find top hosts of the day, week, and month all on one page . Free Snapshots of the Hosts. Ability to pick between normal, double and full screen views during live chat. I've added a screenshot below, to help you find the right button. Ability to adjust the volume during live webcam chat. Ability to have Cam 2 Cam in private sessions – let the host see you while you watch her perform in webcam chat. Physical features – height, hair color, body-type, etc. Recorded videos if they have any. Category of chat the host performs. All in all, I can't say that the profiles are bad, because they do include the must info, but they're kind of... I don't know... dull? Like, check out this sample, that I have added in a screenshot, since I know how much you all LOVE my screenshots. It's got the facts, sure, but some better design or a more personal touch would also be nice. If you don't feel like spending too long searching, but still want to enjoy high-quality shows, I recommend you take advantage of the Top Performers feature. Right on the general video chat room page you have a specific tab for models that rank high, and I've even included a screenshot to make sure you won't get flabbergasted. The other search options on Cams247 are a bit on the limited side though. Once you click on the Our Models link, at the top navigation bar, you'll find yourself on a page featuring all webcam hosts and can choose a specific category or simply go for a host name, if you know it. However, as far as advanced searches go, you have very few choices. You can of course type in a random word in the free search window, but let's be honest: Whoever uses this tool and how exactly does it help? Oh well, as long as you keep your searches a bit general or, alternatively, know the performer you're looking for, you should be just fine. Here's another screenshot, to show you your options. Email Support, will just lead you to the help form, as I mentioned. There is no direct email address available. 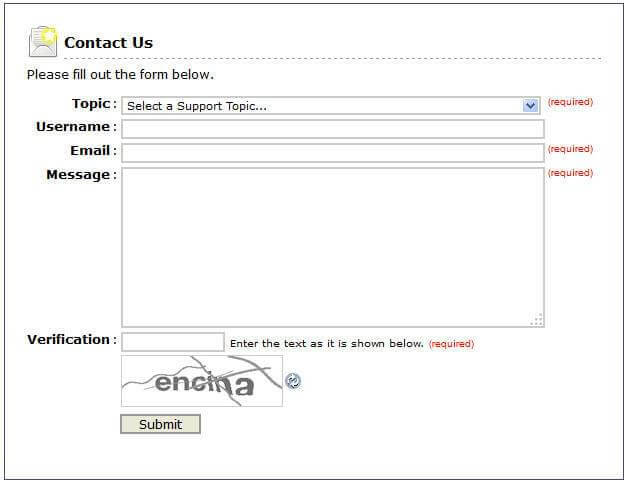 Epoch billing support has a special link on the site, so if you run into any billing issues, this is the right address for you. The website doesn’t offer a separate FAQ page like most other webcam chat sites do. However you can find a list of Account/Membership question and answers along with some general information about the site on the Help/Contact page. Cams247.com is only available in English and all of the hosts only speak English as well so you cannot find hosts who speak another language. Very low private chat costs make this site a great bang for your buck. Hosts take direction well and never deny you what you ask for. Free chat is only for a limited time if you do not become a member, which is very annoying considering most other sites give you unlimited time even as a visitor. Also you need to become a VIP member to access some features of the site which I also didn’t like. The feature show, for example is only available to VIP members however I would have liked the option to pay per minute if I wanted to. Also it doesn’t have many of the basic features that most other cam sites have. Although the site doesn’t advertise it, it is actually a predominately Asian host site so if that doesn’t interest you I would not bother checking it out. That being said, the hosts are very friendly and easy on the eyes and with prices being pretty low it is definitely worth the money.